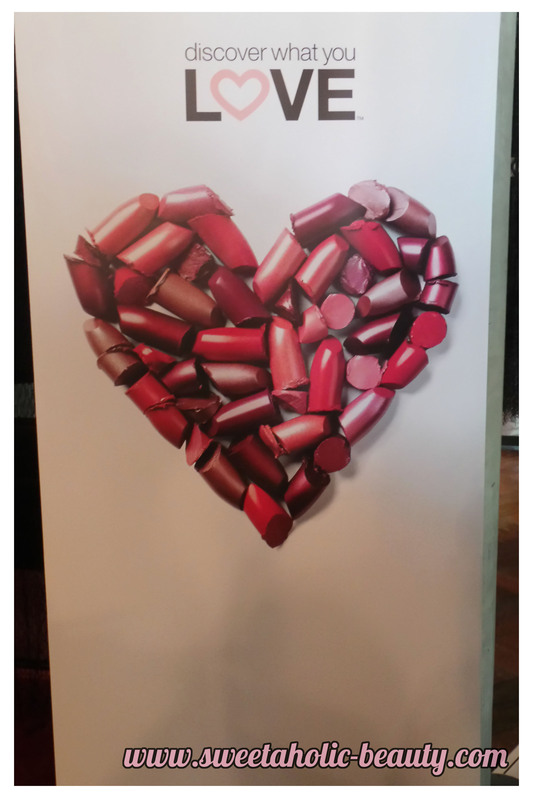 A few weeks ago, I was lucky enough to be invited to the Mary Kay event showcasing their newest product range, the Fairytale & Fantasy Fall Colour Collection! I've tried a few Mary Kay products in the past, so I was really excited to try out some of their newest products! 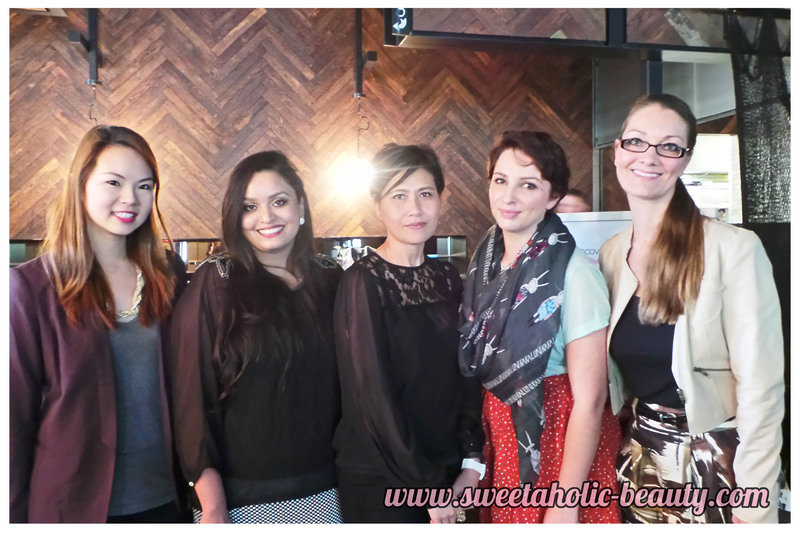 The event was held at Melbourne's Ludlow Bar on Southbank! The atmosphere was really nice and intimate, and very dark (which did cause some problems trying to take heaps of pictures) but was perfect for the drizzly and freezing day we had! 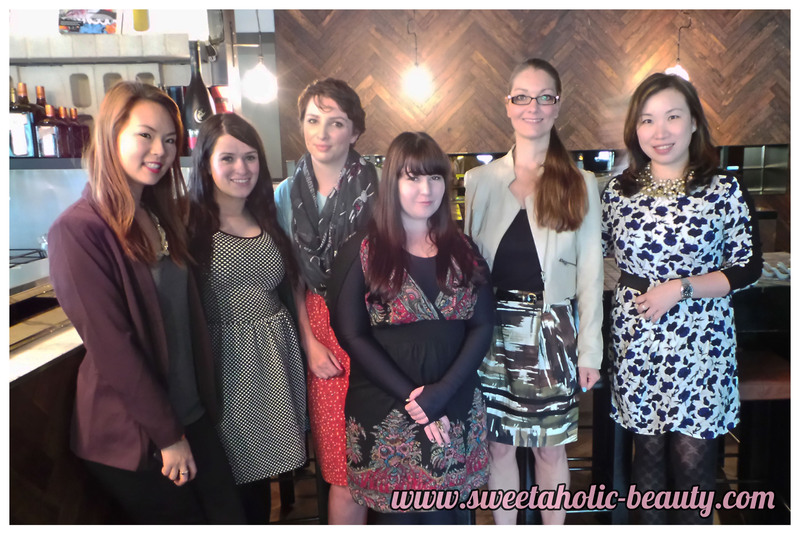 Myself with bloggers Sue, Claire, Kat, Karina and the gorgeous Jules from Mary Kay! It was so great catching up with bloggers I already knew, as well as Jules who I'd met previously! This was my first ever time meeting Karina from The Beauty & Lifestyle Hunter, so it was great to finally put a face to the name! So make sure you go and check out her blog! 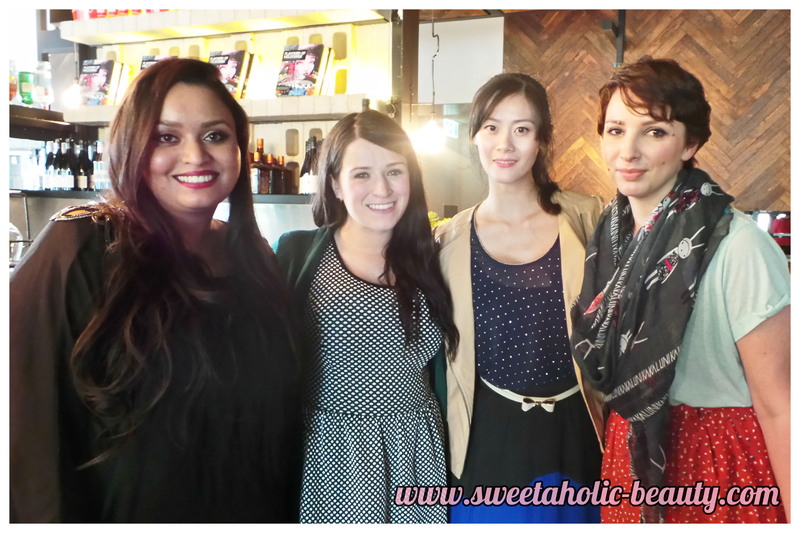 This was also my first time meeting Divya from The Beauty Mantra and Nicole from Bagful of Notions, although I did know about their blogs previously! Both were lovely to finally meet in person! 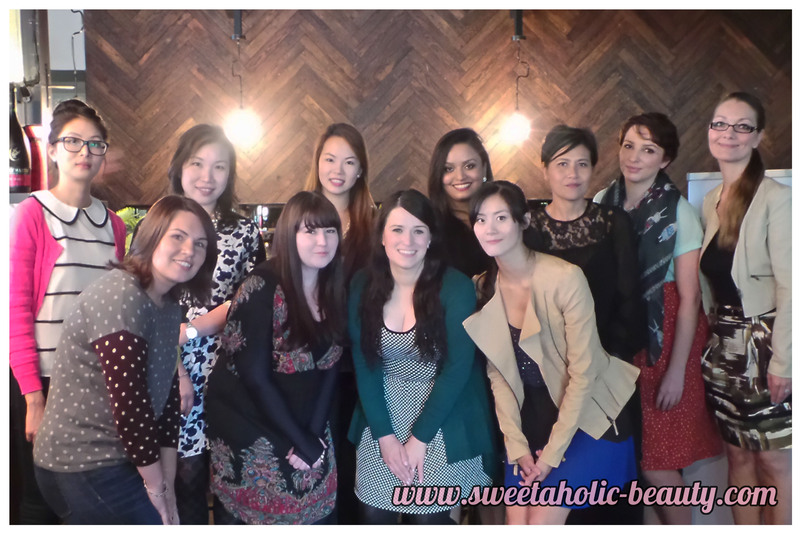 It was so nice to catch up with all the bloggers I already knew as well! 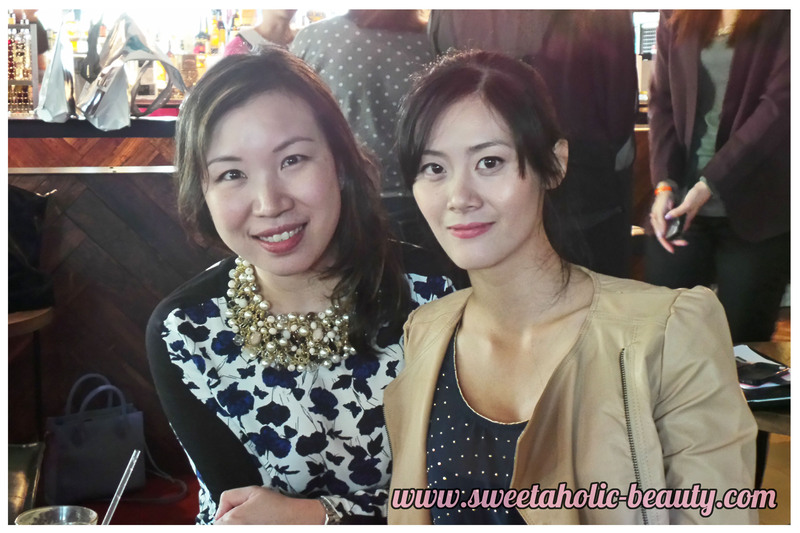 The gorgeous Jules & Eunice who organised the entire event! It was so lovely hanging out with these two - they had great rapport and it really felt like we were among friends! I had met Jules at a previous event and she was so lovely, so it was great to catch up with her again! We also got to have a play around with a few other Mary Kay skincare products, and I found a few that I really want to try in the future! Don't forget the noms! There was so much food, and it all looked amazing! 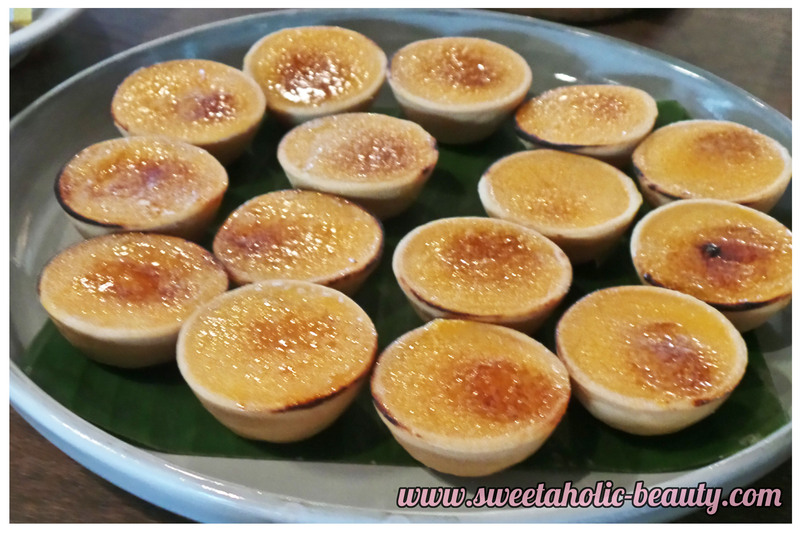 These Burnt Lemon Curd Tarts were amazing! More noms! 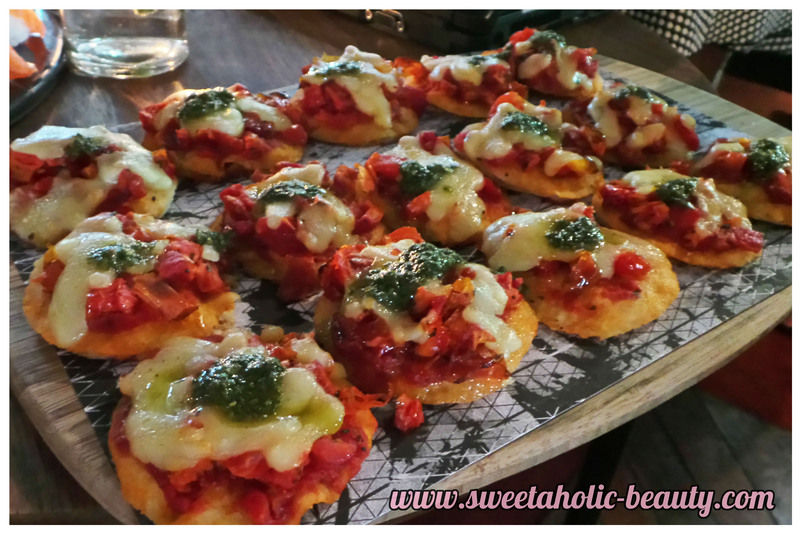 Semi Dried Tomato and Pesto Pizzetta! You seriously can't beat Melbourne food! We also got to take home the entire new collection, aside from the gel eyeliner which had not reached them in time for the launch! I instantly fell in love with the packaging! It really goes with the theme of fantasy and fairytale! The collection included two lip stains, which were very appropriately shaded, four smoke and shimmer eye wands, two polishes and two eyeliners! I won't go into too much detail about how much I love these products, so keep an eye out for full reviews! They also included a few other goodies - a gorgeous travel bag and tag, a night cream, a mini eye makeup remover, and a mini mascara! Perfect for travelling! All in all, it was a wonderful day! It was such an informal event, it really just felt like catching up with old friends! I met a few bloggers I'd never met before, which was also really lovely! I also loved that Jules & Eunice also brought tester products, so we didn't have to test the goodies they gave us then and there, which was a really nice touch! It was fun playing around with the colours! So a big thank you to Jules and Eunice for hosting such a gorgeous event and for being so generous with all their gifts! I can't wait for more Mary Kay events to catch up again! Have you tried Mary Kay products? If so, what did you think? Did you know you can now buy Mary Kay online without the need of a consultant? Make sure you check out their online store here! Awwww great photos Jas! Was such a good event, really enjoyed myself! I love the treatment of Mary Kay but not the make up! A friend of a friend is a Mary Kay seller. I'm excited to try their products. It looks like you all have a lovely time!! Lucky you!! Definitely gorgeous fall colours! Looks like you had a great event!